I read this article and found it very interesting, thought it might be something for you. 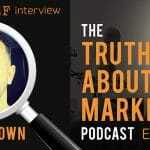 The article is called Ep 120: Todd Brown – The E5 Method for Marketing The Big Idea and is located at https://copychief.com/ep-120-todd-brown/. So… what is this critical ingredient that’ll explode your business in ways you’ve never imagined possible? Today I’ve got Todd Brown on the show. He’s a 15-year decorated veteran of direct response marketing. Todd helps clients unleash the money-making power of their big idea. It’s no surprise for you to see top entrepreneurs such as Andre Chaperon and Jack Born glued to their seats at a Todd Brown event. … so you absolutely must unlock the power of your big idea to finally get a taste of that business-transforming sales surge. 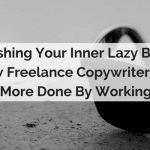 If you’re a freelancer, come find out how you can put yourself in the jetstream of high level gigs, and book yourself solid using the power of the big idea. 19:55 – Todd’s trick to making your offer so close to what your prospect craves that he can’t help but think you’re his personal genie… without ever setting off his BS meter. 20:40 – The “UM” method for wiping out every single competitor from your prospect’s memory… and installing cultist-like devotion in his greedy little brain for YOUR offer ONLY. 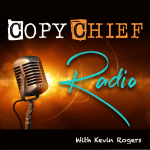 40:20 – What creativity REALLY means in business… and why you’re only moments away from being more “creative” than you’ve ever dreamed possible using Todd’s tip.